The third ODI between India and Australia provided a much-needed breakthrough to Australia. The visitors, after losing the first two games, came to the third ODI with the risk of losing the series. Indian captain Virat Kohli won the toss and elected to field first. Before the game, former captain Dhoni presented the army caps to all the Indian players to pay tribute to the Indian armed forces. Australia were off to a perfect start. They crossed 100 runs without losing a wicket. Usman Khawaja went on to score his maiden ODI century and Finch got out for 93 runs. Glenn Maxwell played well before he got out to an amazing piece of smart work from Dhoni and Jadeja. Australia posted 313/5 in the 50 overs. India were off to a bad start yet again as they lost Rohit, Dhawan and Rayudu inside of 30 runs. Kedar and Dhoni had decent partnerships with Kohli, but it wasn't for long. 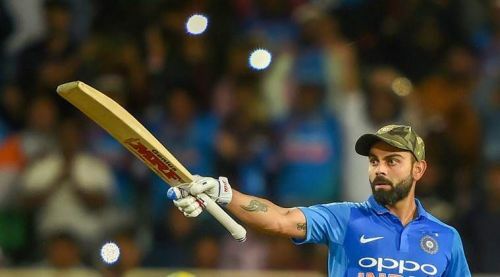 On the other end, Kohli continued with his imperial form and went on to score his 41st ODI century. But he got out soon after the century. India lost the third ODI by 32 runs. 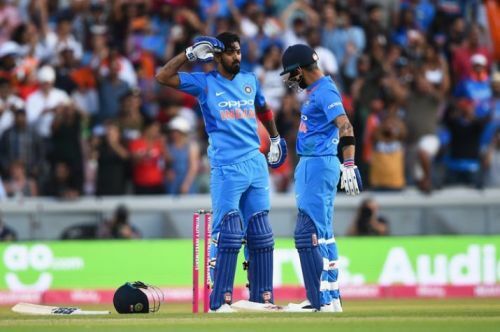 Sanjay Bangar confirmed that former Indian captain Dhoni would be rested for the final two ODI and Kohli also hinted that there would be a few changes in the next two games. Here is the predicted XI for the fourth ODI. Indian openers, are not having a great ODI series as they failed in all the three games. Also, Dhawan is yet to find his form from the last six ODIs. So we could expect a change in the opening combo. KL Rahul, who has played really well in the T20I series might be picked ahead of Dhawan. India have got only two games to test the back-up opener slot before the World Cup. Rohit Sharma would continue to play in the next game. He is a key player for India in the World Cup, so India would want him back in form before the prestigious tournament. Kohli has been amazing at number three in this series, so there won't be any change in the number three slot. India vs Australia 2019: Did India miss MS Dhoni in the fourth ODI?